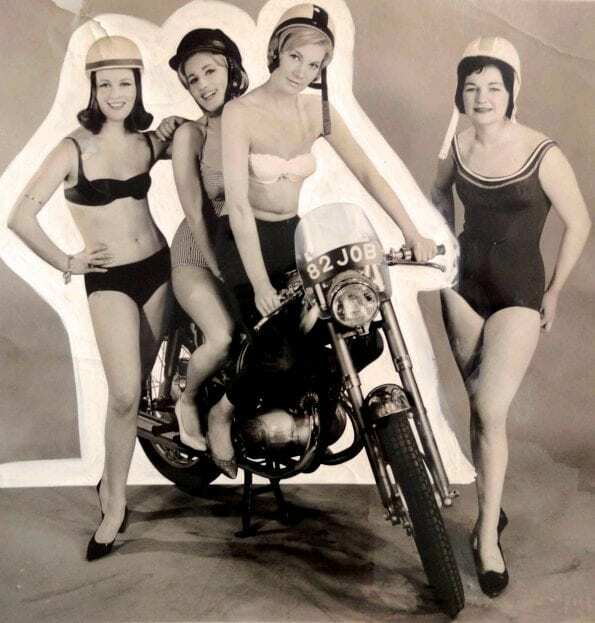 James, a Birmingham bicycle manufacturer, began building motorcycles in 1902 and lightweight bikes bearing the James badge continued to be built until 1966. By then James was part of AMC, and it disappeared when the parent company collapsed. Before those events, back in October 1961 the marque announced the release of the M25 Superswift at the same time as Francis-Barnett, also part of AMC, announced their Cruiser Twin 89. 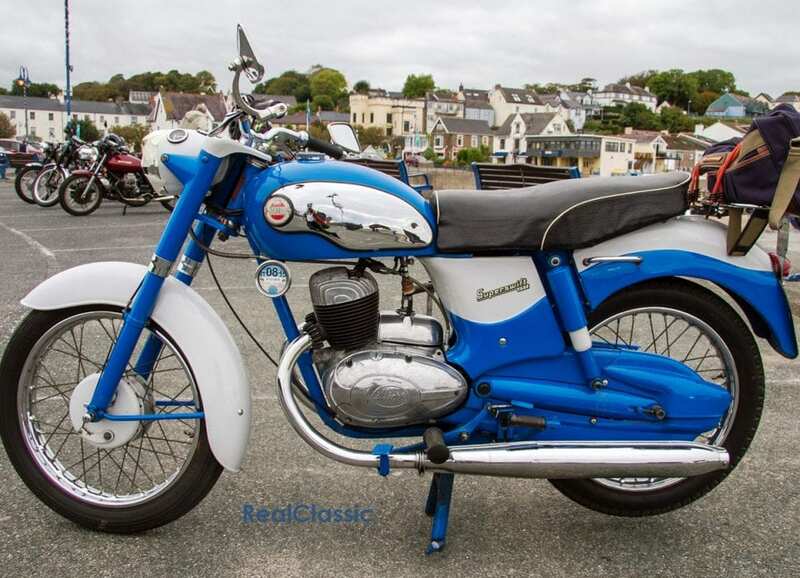 The James machine became available the following year and was driven by a Villiers 2T two-stroke, twin cylinder engine with a bore and stroke of 50mm by 63mm to give a capacity of 247cc. 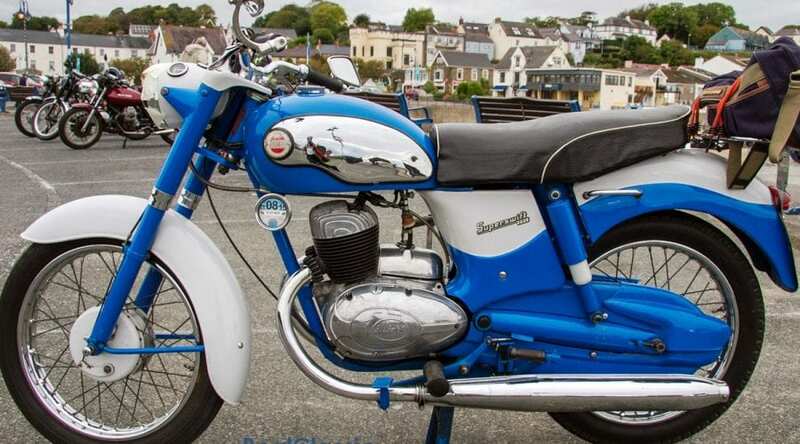 This and the four-speed gearbox sat in a composite frame – there was a front and top downtube, a fabricated central section and pressed rear mudguard; front suspension was telescopic forks and brakes were six inch drums. 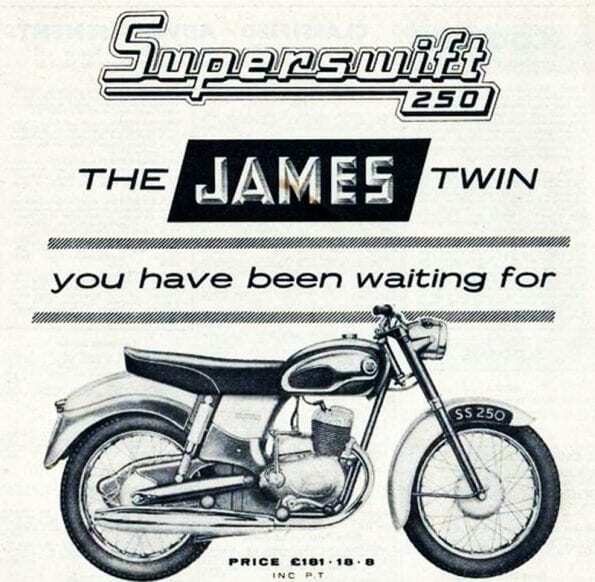 James were famously known for their maroon livery but the Superswift featured the dazzling Riviera Blue colour scheme seen here. There was a good amount of chrome to polish and the whole looked rather spiffing as you can see from this example. The complete drive chain enclosure helped to keep the rear end free from oil spatter – doubly important because the Superswift was originally fitted with eye-catching whitewall tyres, to wow the crowds. 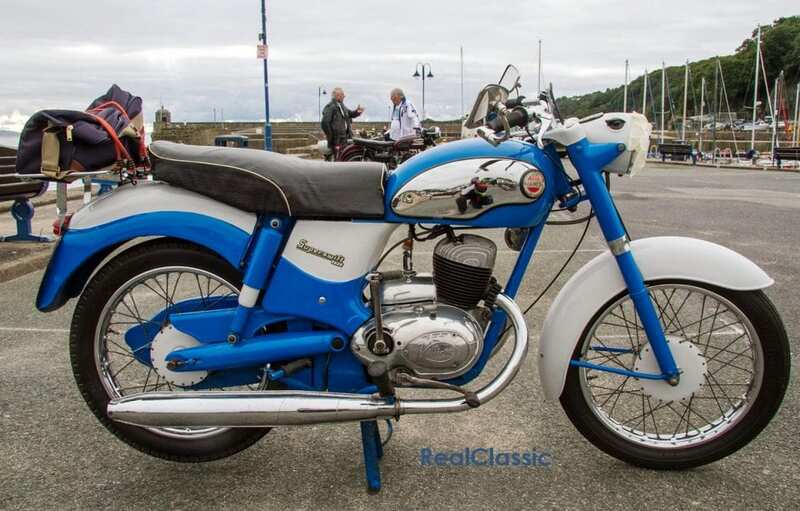 In 1964 the standard Superswift was joined by a café racer cousin in a more conventional frame. The Sports M25SS was fitted with Villiers’ 4T engine, a flyscreen and lowered bars. But neither model could survive for much longer and the James range was considerably trimmed for 1965. 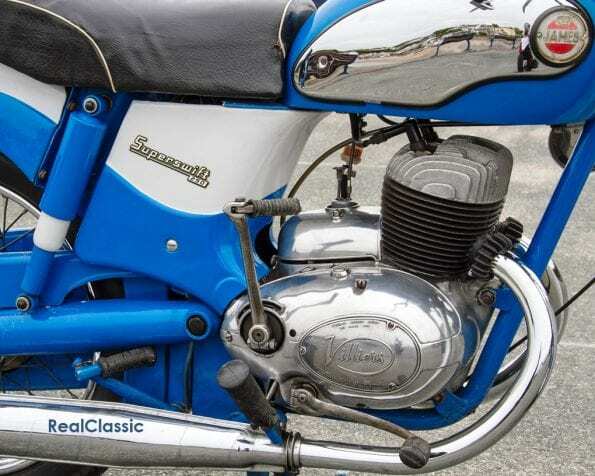 The current owner found this James after ‘it had been living outside for some time and not looking in good shape.’ He took 10 months to restore it to its current pristine condition, doing all the work himself including the hand-brush painting which looked absolutely immaculate. ‘The chassis provided decent handling,’ commented author Steve Wilson, ‘combined with the solid continental-style looks. The six inch brakes were not too good, with the rear brake pedal a two-piece fabrication, leading to flexing and a 35ft stopping distance from 30mph.